Two new Mac-compatible and upgradable eGPU enclosures have been announced, the PowerColor Mini Pro Thunderbolt 3 eGFX Box 240FU, and the VisionTek Thunderbolt 3 Mini eGFX. The PowerColor box is equipped with AMD's 8-gigabyte Radeon RX 570 graphics card by default. The VisionTek model ships without a card. The products are otherwise extremely similar, relying on the same TBX-180/240FU chassis created by PowerColor. 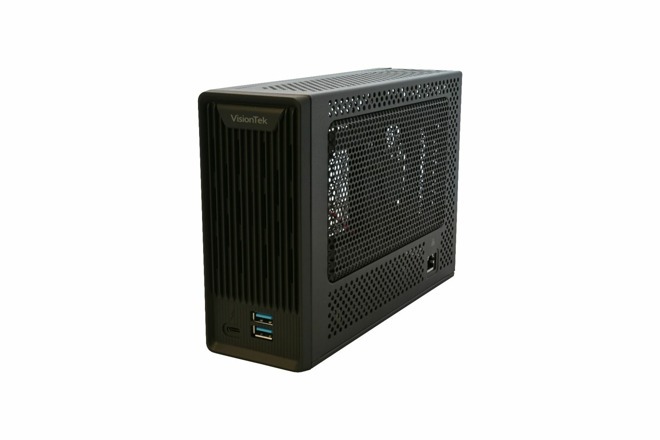 It comes with a 240-watt power supply, and can accommodate cards as big as 175-by-131-by-38 millimeters. That should be enough for standard or Mini-ITX GPUs, but may be too small for some gaming- or professionally-oriented ones. Port options include gigabit Ethernet and two USB 3.0 connections. When attached to a MacBook, the enclosures can deliver up to 45 watts of power. 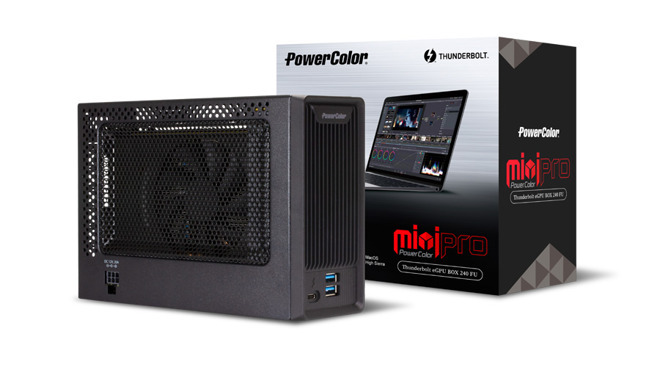 The PowerColor Mini Pro Thunderbolt 3 eGFX Box 240FU with Radeon RX 570 is available for $479 from PowerColor directly, while the VisionTek Thunderbolt 3 Mini eGFX is $349.99 without a GPU direct from VisionTek. Standalone AMD Radeon RX 570 graphics cards can be found for as low as $167 on Amazon.com.